People love Minecraft, and Microsoft loves that people love Minecraft. Still, wouldn't it be nice if Microsoft could make some more money? That's where the new Minecraft Marketplace comes in. It's a marketplace (duh) where community creators can list content for sale, and Microsoft gets a taste of the action. 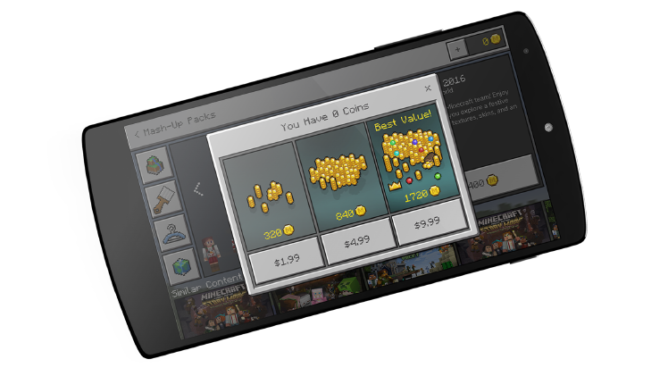 To facilitate the sale of content within Minecraft, the Pocket Edition and Windows 10 version will both be getting in-app purchases for coins. They come in $1.99, $4.99, and $9.99 bundles. You can use those to download maps, texture packs, minigames, and so on. Microsoft is a little vague on how the payments to content creators will be handled. It notes the app store will get a 30% cut of coin purchases, but the "majority" of the remaining cash will go to creators. 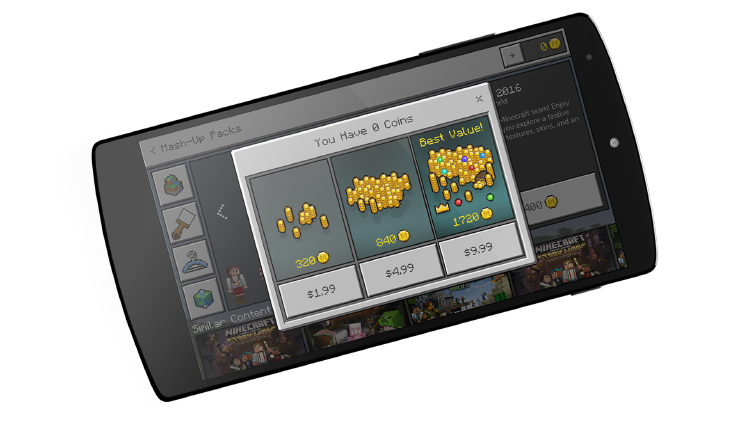 There's already a cash-only store for IAPs, but it's not community-based. The content you purchase from the Marketplace will be associated with your Xbox Live account. That means it'll sync to other platforms; or it will as soon as Microsoft figures out how to make that happen. And of course, this does not preclude you from finding free Minecraft content online and installing it manually.